40 Pull Through Spaces with Full Hooks Ups. 30 amp only. 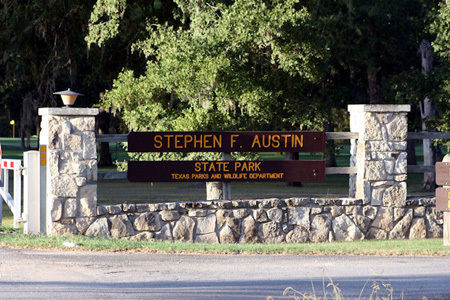 I consider Stephen F. Austin State park to my "home" park. It is located about 20 minutes from my home and that closeness allows me to take my RV out and still go to my church on Sunday morning. After church I go back it lunch and hook up my trailer and bring it home. 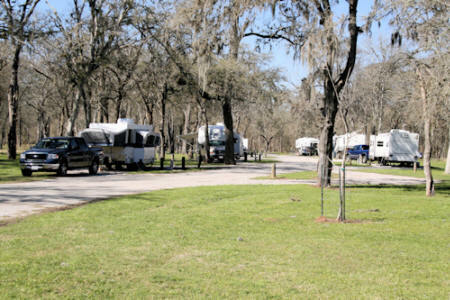 The park is located in San Felipe, Texas, the colonial capital of Texas. At that time Texas was still part of Mexico and the land grants to settlers were managed out of San Felipe by Stephen F. Austin, the father of Texas. The town was named by the Mexican government San Felipe de Austin in his honor. 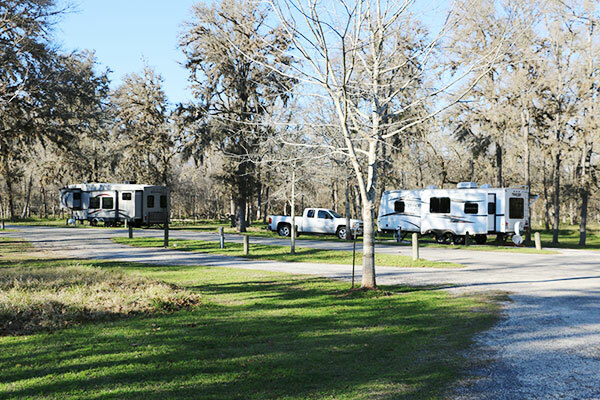 The park is located on the Brazos River and offers hiking, golf and relaxing. That's about it. 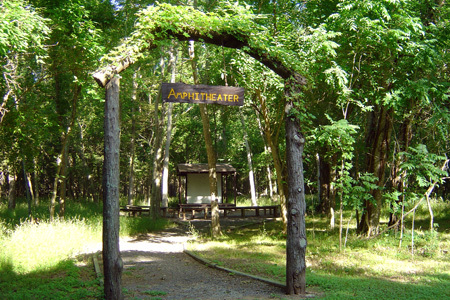 The park is divided into two parts. 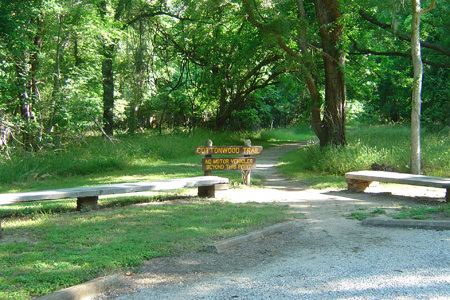 The area where the campsites are located and a couple of miles away in town is a historical park. The historical section of the park is actually where the main square was laid out in San Felipe back in the 1820's. The whole town was put the torch by the residents in April of 1836 to prevent anything of value from falling into hands of the advancing Mexican army led by Santa Anna. A few weeks later the Mexican army was defeated at San Jacinto by the Texas army lead by Sam Houston. From that victory was born the Republic of Texas. The city of San Felipe, Texas is a small town and I'm sure that money is tight. To alleviate this problem the city has small black car that is actually a police radar car. They will stop you and give you a ticket if you are not obeying the speed laws.